Again all cities on the planet were ranked by QS on one of the most important criteria for students – affordability. Affordability index takes typical international tuition fees and living costs into account. Studying is expensive and that’s why one of these cities in the list is a great choice to choose a high quality education, lively student scene and great cultural experience. 1. 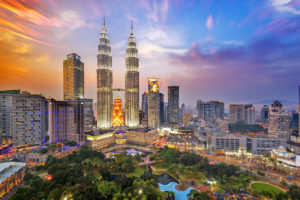 Kuala Lumpur, Malaysia - Malaysia’s capital city offers the ideal combination of low living costs and low tuition fees. Tuition fees at internationally ranked universities are less than US$3,000 on average, and your costs of living could be as low as US$5,400 a year, according to StudyInMalaysia.com. 2. 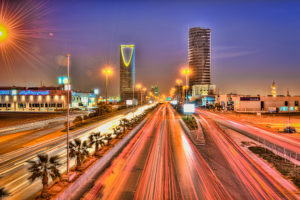 RiyadhSaudi Arabia - A new entry in the Best Student Cities 2017 at 64th, Riyadh is the capital and largest city of Saudi Arabia. Simultaneously traditional, historical and modern and prosperous, many students will be pleased to hear that there are no tuition fees at either of the city’s two internationally ranked universities. Living costs are fairly high, but you’ll still find Riyadh to be a much more affordable study destination than cities such as London or New York. 3. 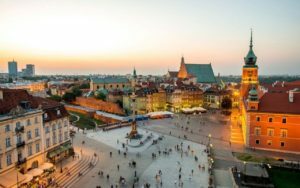 Warsaw, Poland - Full of fascinating history, great food and nightlife, international tuition fees average out at around US$3,400 and you should be able to get by in the city with only US$5,700 per year for living costs. 4. 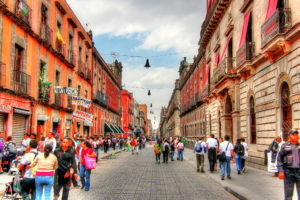 Mexico City, Mexico - The average tuition fees in Mexico City’s internationally ranked universities are US$5,800 a year, and the city’s living costs are also far lower than its neighbor the US – for example, according to Numbeo rent prices in Mexico City are a whopping 84% lower than in New York City, as of February 2017. 5. 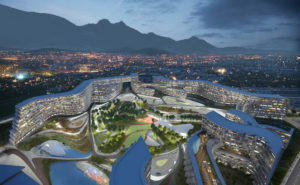 Monterrey, Mexico - The third-largest metropolitan area in the country and an important industrial and educational center in northern Mexico, Monterrey has higher average tuition fees than the capital (US$8,100) but slightly lower living costs. The city features at 76th in this year’s Best Student Cities ranking and also achieves a strong score for the Employer Activity category, showing that its graduates are highly sought-after by employers. 6. 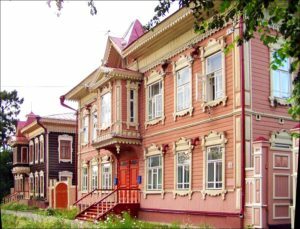 Tomsk, Russia - Living costs in Tomsk are much lower than you’d find in capital city Moscow, with rent 64% lower according to Numbeo (as of February 2017). Tuition fees in Tomsk are also very reasonable at an average of US$2,400 per year at the two internationally ranked universities. A prominent scientific and academic center, Tomsk’s Siberian location makes it ideal for snow lovers! 7. 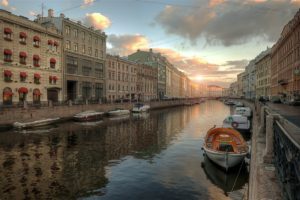 St. Petersburg, Russia – St. Petersburg offers lower living costs than Moscow, with tuition fees averaging the same as in Tomsk (US$2,400 per year). A historically significant, attractive city, St. Petersburg is home to some of Russia’s most prestigious universities, including Saint-Petersburg State University, currently ranked 258th in the world. 8. 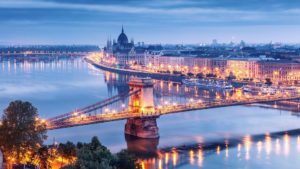 Budapest, Hungary - One of the most picturesque cities in Europe, Budapest is packed with things to do and explore. Its three internationally ranked universities have tuition fees that average only US$1,500 a year, and the city’s living costs are much lower than you’ll find in other European capitals such as London or Paris. 9. Kiev, Ukraine - An important industrial, educational, scientific and cultural center of Eastern Europe, Kiev also offers lower living costs than other major European cities, with rent over 71% lower than in Paris according to Numbeo. Tuition fees at its two internationally ranked universities also average only US$2,100 per year, so Kiev could be great value for money in terms of cultural experiences and good quality education. 10. 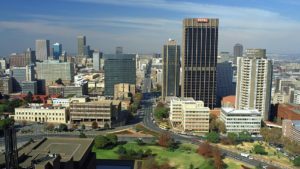 Johannesburg, South Africa - Tuition fees in the biggest South-African city are an average of US$3,200 per year and living costs are very. One of the greenest cities in the world, Johannesburg has a well-developed higher education system and is home to some of South Africa’s most prestigious universities.